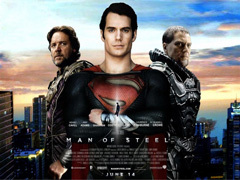 Do you know the top 10 grossing movies in 2013? Have you watched those top 10 grossing movies yet? No matter you have missed those wonderful movies in theater or have already watched some of them once, you may still feel eager to own all the top 10 grossing movies and enjoy them over and over again. Fortunately, you can purchase, especially rent (which is much cheaper) those top movies from iTunes store to hit the spot. Everything seems good with iTunes, but you may get into a muddle when you want to view those top movies on your widescreen TV, Samsung Galaxy Series, Amazon Kindle Fire, Nook HD, Nexus 7 or any Android/Windows devices due to DRM protection. Frustrated? What you need is AVS4Mac M4V Converter Plus, an intuitive DRM Remover and Video Converter which can remove iTunes DRM from those purchased or rented top grossing movies and convert iTunes M4V to more popular formats like MP4, AVI, MOV, WMV, etc. to playback on nearly all hot non-apple devices. Now here's the really exciting part - let's have a look at those Top 10 Grossing Movies in 2013. What's interesting is that the sequels keep a large share of the 2013 movie market which must remind you of their wonderful prequels. Choose some attract you most and follow them in iTunes store. As a follow-up to the 2009 release of G.I. JOE: RISE OF THE COBRA, in this sequel, the G.I. Joes are not only fighting their mortal enemy Cobra; they are forced to contend with threats from within the government that jeopardize their very existence. 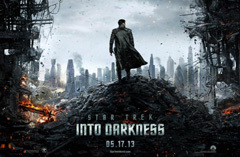 The sequel to 2009's Star Trek, the plot of Into Darkness takes place one year after the previous installment, with Kirk and the crew of the U.S.S. Enterprise sent to the Klingon homeworld seeking former Starfleet member-turned-terrorist John Harrison. A small-time magician, Oscar, is swept away to an enchanted land and is forced into a power struggle between three witches. Putting his magical arts to use through illusion, ingenuity—and even a bit of wizardry—Oscar transforms himself not only into the great wizard but into a better man as well. 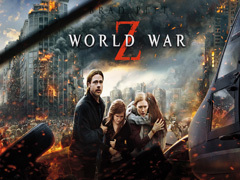 The story revolves around United Nations employee Gerry Lane, who traverses the world in a race against time to stop a pandemic that is toppling armies and governments and threatening to decimate humanity itself. It's the story of the world's first family road trip. When their cave is destroyed, the Crood family must embark on a comedy adventure into strange and spectacular territory in search of a new home. 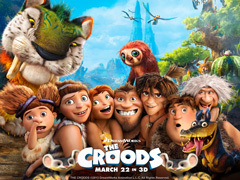 Rocked by generational clashes and seismic shifts, The Croods discover an incredible new world filled with fantastic creatures, and a future beyond any they imagined. It's a prequel to 2001's Monsters, Inc. Mike and Sulley are an inseparable pair, but that wasn't always the case. From the moment these two mismatched monsters met they couldn't stand each other. 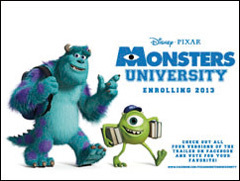 "Monsters University" unlocks the door to how Mike and Sulley overcame their differences and became the best of friends. 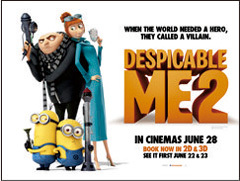 Despicable Me 2 is a 2013 American 3D computer-animated comedy film and the sequel to the animated film Despicable Me which entertained audiences around the globe in 2010, grossing more than $540 million and becoming the 10th-biggest animated motion picture in U.S. history. The new story is about Gru is recruited by the Anti-Villain League to help deal with a powerful new super criminal. Since Dom and Brian's Rio heist toppled a kingpin's empire, our heroes have scattered across the globe. Meanwhile, Hobbs has Dom and Brian reassemble their crew in order to take down a mastermind who commands an organization of mercenary drivers across 12 countries. Payment? Full pardons for all of them so they can return home and make their families whole again. 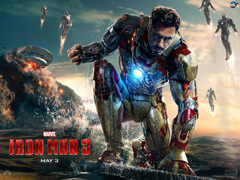 When finding his personal world destroyed at his enemy's hands, Stark embarks on a harrowing quest to find those responsible. This journey will test his mettle. With his back against the wall, Stark is left to survive by his own devices, relying on his ingenuity and instincts to protect those closest to him. As he fights his way back, Stark discovers the answer to the question that has secretly haunted him: does the man make the suit or does the suit make the man?